Scott Slapin was born in New Jersey in 1974. He began writing music at the age of eleven, and his first orchestral premiere, at age fourteen, was a critical success in the New Jersey State Theater. He studied the viola at the Manhattan School of Music and earned his Bachelor of Music degree by the age of eighteen, making him one of the youngest graduates in the school's history. Scott began his professional career as the on-stage solo violist in the New York City production of Gerald Busby's Orpheus in Love (1992-93). He has premiered other works by Busby including Muse for Solo Viola in Carnegie's Weill Hall (1994), and Scott's playing has inspired other outstanding American composers including Richard Lane, David Noon and Frank Proto to write for him. In the late 1990's, Scott gave the premiere performances of Richard Lane's Nocturne and Third Viola Sonata. Scott was the first violist to have recorded the complete cycle of J. S. Bach's Sonatas and Partitas for Solo Violin on viola (Eroica Classical Recordings). His CD set has been widely featured in print and on radio. 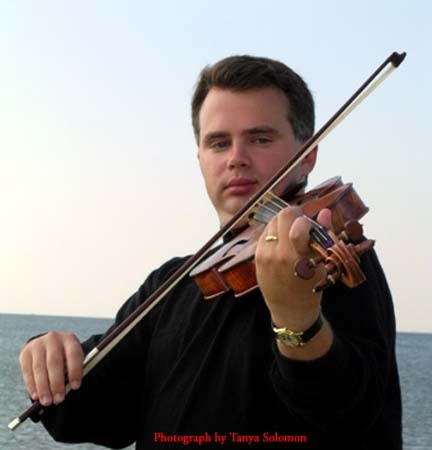 Scott and his wife, violist Tanya Solomon, often perform together as a duo. They have played and toured extensively throughout the United States and South America as members of the Philadelphia Virtuosi, the Sao Paulo Symphony Orchestra, the Louisville Orchestra and (currently) the Louisiana Philharmonic in New Orleans. Scott and Tanya are former principal violists of the Knoxville and Chattanooga Symphony Orchestras and have recorded together.